No, we’re not talking about the time you got that terrible tattoo while blacked out in Old Town Fort Collins, Loveland or Greeley. We’re talking about an actual Black Out Tattoo! 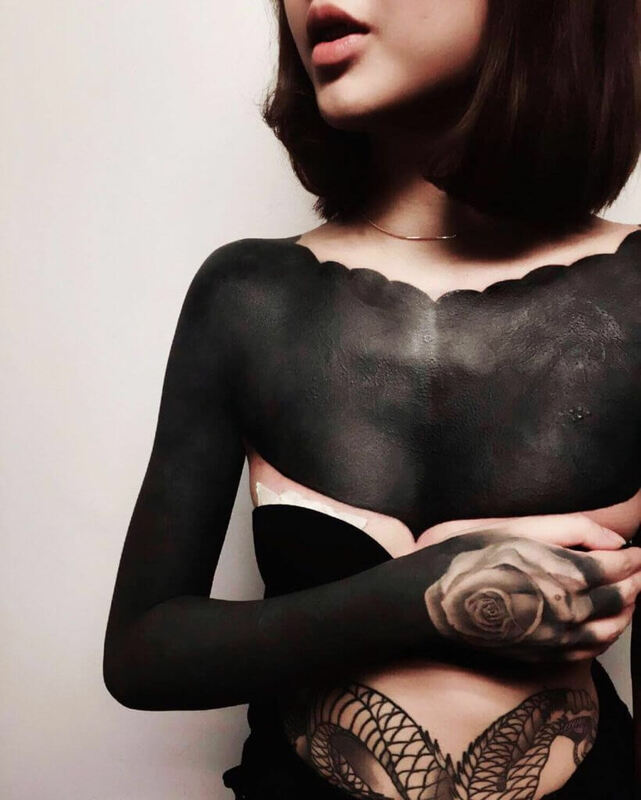 Forget watercolour, glitter and white tattoos, there’s a new trend in ink. While many tattoos have intricate designs and bright colours, the blackout tattoo involves large portions of the body being inked solid black. Arms and legs are the most common placement for the blackout tattoo, but some even get their chests, backs and stomachs tattooed too. These tattoos make it next to impossible for a dermatologist to do a proper skin cancer screening. “With such large, dark tattoos, it’s very difficult for a physician to distinguish between a normal mole and one that’s abnormal — or even melanoma.” Since, according to the Skin Cancer Foundation, melanoma is the second most common form of cancer in people ages 15 to 29 years old, probably not worth the risk. So good idea or not? If you ask LaserAll in Loveland they’ll tell you its actually not as bad of an idea as it seems. This is because black ink is actually the easiest color to remove with their Q- Switch Astanza Duality Laser. So if you have made the decision to get a “black out tattoo” or any other tattoo you regret while you were “blacked out” LaserAll in Loveland can help you out with your unwanted tattoo needs. Proudly serving Loveland, Greeley, Fort Collins, Windsor, Longmont, Denver, Cheyenne, Lakewood, Denver, Colorado Springs and beyond!